Enter for a chance to win a Bass XL package from TinBoats Sponsor, Wired2Fish along with Lucky Tackle Box. For about a year we have been getting a Lucky Tackle Box Bass XL box and at the onset we were skeptical. Was it worth it? Would we be getting good tackle or bargain-bin junk that companies were just trying to dump? After getting our first box and subsequently getting others we have found that the Lucky Tackle Box is the real deal. First run, first rate tackle company products that pro anglers would be proud to own. 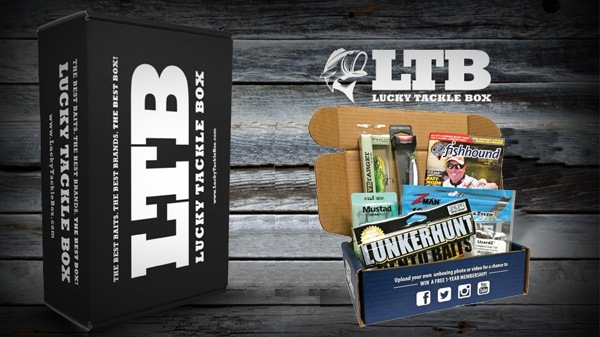 Each month we have passed on to you our findings and felt it was now time to offer a giveaway in conjunction with the folks at Lucky Tackle Box to let your find out for yourself. With this giveaway we are going to give 10, that's right, 10 readers a chance to get a Lucky Tackle Box BASS XL package and all the goodies that come with it. Timing is perfect as you can use them yourself or give them to a buddy as a gift. This giveaway ends October 11th, 2016. 10 winners. Good luck!